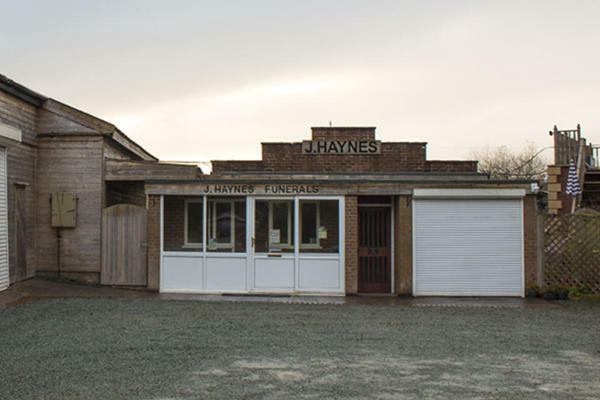 Here at J Haynes Funeral Directors, we have been serving the community of Eccleshall since 1891. We have gone through a lot of changes since then, but the one thing that has remained constant is our reputation for being caring, understanding and professional funeral directors. We understand that losing a loved one can be emotional and difficult. You can rest assured that we will be by your side to guide and advise you every step of the way. We have built up a wealth of experience over the years and are here to ease any concerns you may have. You can call us at any time. We will be here to help you and ensure every detail of your loved one’s funeral service is arranged with care and to your liking. Call us today on 01785 850572 to talk through your personal requirements. At J Haynes Funeral Directors, we understand how special life is with those that you love. For us, every funeral is unique and personal. We have a service to fulfil every wish, with every detail carried out with the same uncompromising quality of care. From a traditional service, to a colourful woodland burial, your options are limitless with our Full Service Funeral. If you have a little more flexibility when it comes to arrangements, then we can provide a Simple Funeral for a lower cost. There is plenty of parking available in front of our funeral home. We are located behind Eccleshall Pre School. Our staff are available 24 hours a day on 01785 850572 if you require our services outside of these hours. My experience with dealing with my father's death was made a lot easier by the way that all the staff at Haynes treated myself and my wife.i can't thank them enough. Nothing was to much trouble for them. Thank you for taking the time to send your online review to us. I am pleased that you were so well looked after by our team and that we were able to look after you and your family at this difficult time. We went to Nicholls to carry out the funeral of our mum as they has carried out the funeral of my dad 10 years ago. Once again the compassionate service provided was excellent from start to finish. Thank you for posting your review online. I am pleased that the arrangements for your Mother were carried out to your satisfaction and that our team were able to provide you with the support and guidance needed. Excellent service provided with care and compassion. Very highly recommended. J Haynes funeral recently did the funeral for my mother. They were professional from start to finish. They thought of everything and respected my wishes. They arranged everything and were very caring and attentive. As a family we thank you for your service to us. Mum would have been very proud. Thank you for posting your online review. I am pleased the arrangements for your mother were carried out to your satisfaction and that we were able to look after you and your family at this difficult time.